Many clients have a theme or idea in mind but not the completed work. 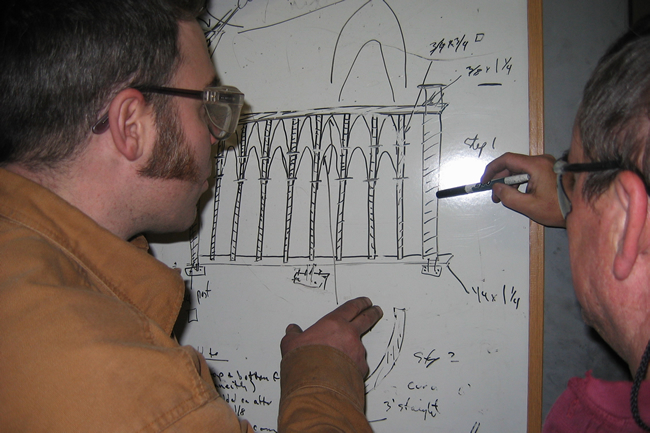 Milligan Ironwork can help. Some clients may want a “wetland” theme on a gate. We may recommend incorporating metal cattails, lily pads and sunrays into the work. 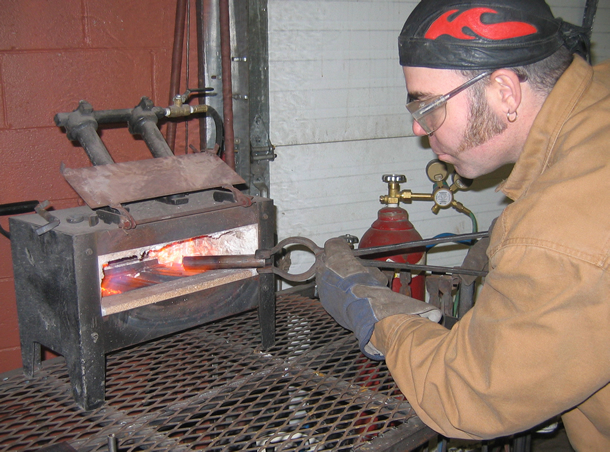 Milligan Iron Works can use old methods to create your piece. 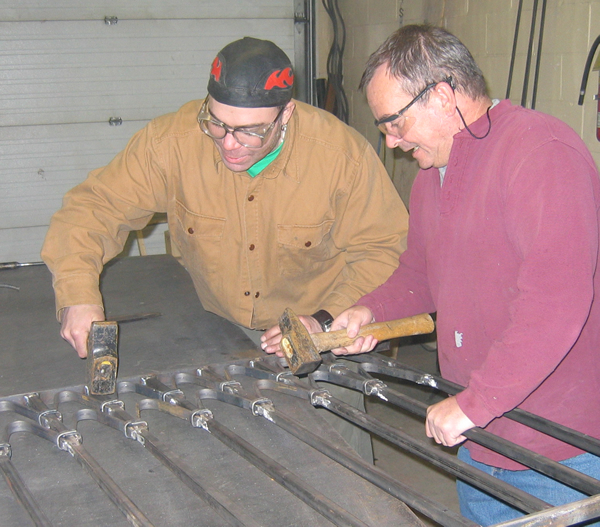 Our fabrication tools range from antique anvils to some of the latest technology in metal forming and fabrication equipment. This separates us from being just a metal shop and can truly give our customers a unique one off product. We recommend for smaller items such as railings security bars etc., a process called "powdercoating". Your iron piece will first be sandblasted, zinc primed then baked in special ovens. A wide variety of colours are available although some customers prefer their iron to be clear coated to show off a more natural appearance. 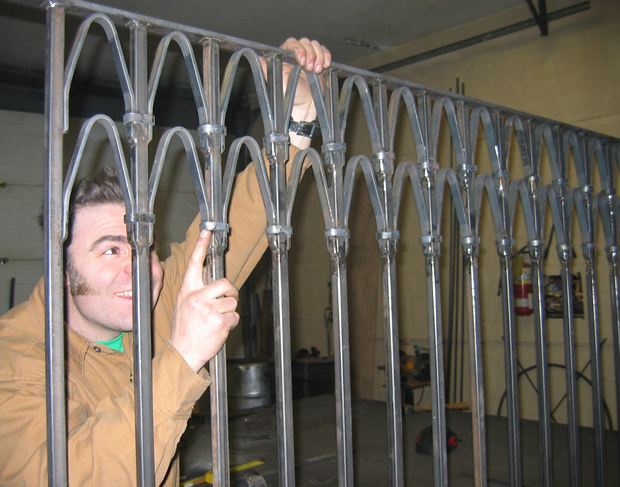 Given the durability of your iron work, proper installation is very important. Milligan Iron Works using quality material and will perform the installation.